Next year, Apple will come out with an iPhone design that will be unlike any iPhone the company made to date. That is if current reports are accurate. The iPhone 8 should have an all-screen design, complete with a virtual home button that will replace the iconic physical home button, and an OLED screen. The display may be curved, in which case the side buttons could also disappear. Some people expect Apple to move from metal to ceramic for the phone’s exterior shell, although Apple surely can’t manufacture ceramic cases to meet actual iPhone demand. Moreover, the wildest iPhone 8 rumor yet says Apple will launch a clear all-screen iPhone next year. But until that happens, there’s already a company that came out with a smartphone concept that looks very much like an iPhone 8 prequel, one that you’ll be able to buy in November for just over $500. Xiaomi on Tuesday introduced the Mi Mix smartphone in the image above. It’s got a bezel-less display, and the 6.4-inch screen occupies 91.3% of the front side of the phone. The front-facing camera has been relocated to the bottom bezel, but you’ll be able to rotate the phone to take regular selfies. The proximity sensor has been replaced by ultrasound, The Verge reports, and the front speaker was swapped for a piezoelectric speaker that uses the metal frame to generate sound. The back of the phone and the side buttons are al made of ceramic. The innards of the phone are equally impressive. We’re looking at a Snapdragon 821 chipset paired with 4GB of RAM and 128GB of storage – that’s what you’ll find inside Google’s Pixels as well. The phone also has a 16-megapixel rear camera, headphone jack, fingerprint sensor on the back, 192Hz / 24-bit DAC chip, dual-SIM support, and a 4,400 mAh battery. The base configuration costs around $516 and ships on November 4th. For $590, you’ll get 6GB of RAM and 256GB of storage. However, it’s unlikely that Xiaomi will have enough units to go around. After all, this is labeled as a concept phone by Xiaomi. The company probably wanted the “world’s first” title real bad. 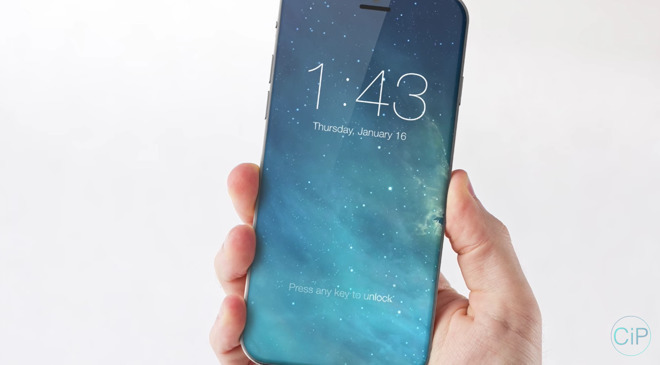 A concept render of an edge-to-edge iPhone display. Apple is planning to launch next year's flagship iPhone in 4.7-, 5-, and 5.5-inch sizes, and will likely use glass backs for all three, a Japanese report claimed on Wednesday. The company could still go back to the metal casings used on current iPhones, a source explained to Nikkei Asian Review, calling Apple's position on glass "tentative." The person added that Apple likewise decided to drop production of a single-lens 5.5-inch iPhone 7 just six months before the iPhone 7 Plus debuted in September. Both the front and back glass will allegedly be supplied by Biel and Lens. The phone should still make some use of metal, namely a frame holding both sides together. Foxconn and its subsidiaries have reportedly been working on glass backs, but are expected to lose out for technological reasons. That could impact the company's bottom line, since it also makes metal casings for the iPhone SE and iPhone 7 Plus, sharing regular iPhone 7 casing orders with Catcher and Jabil. Foxconn is, however, Apple's main assembly partner on the iPhone. 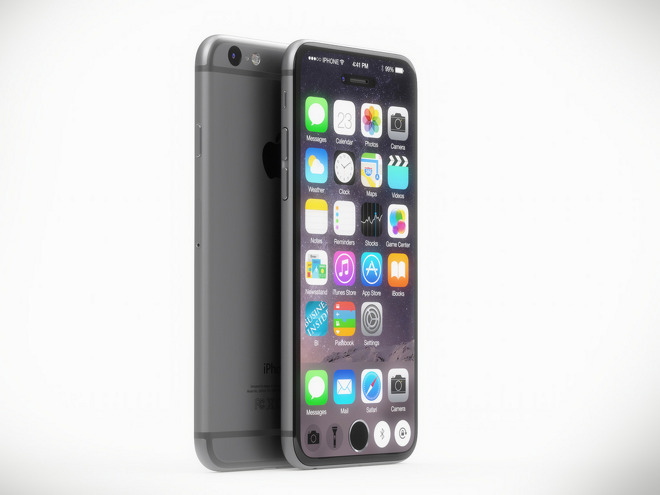 The 2017 iPhone is widely expected to be a major redesign. Nikkei has indicated that while the 5.5-inch model will have a curved OLED display, much like Samsung's Galaxy S7 Edge, the two smaller models may stick to the LTPS technology used on the iPhone 7. Newly appointed CEO of Japanese display maker Sharp, Tai Jeng-wu, this weekend seemingly confirmed widespread rumors claiming Apple plans to incorporate OLED panels in a next-generation iPhone. Tai commented on Apple's future plans in an address to students at his alma mater Tatung University, which on Saturday presented the tech industry executive with an honorary doctorate degree, Nikkei reports. "The iPhone has been evolving and now it is switching from LTPS (low-temperature poly-silicon) to OLED panels," Tai said. "We don't know whether Apple's OLED iPhones will be a hit, but if Apple doesn't walk down this path and transform itself, there will be no innovation. It is a crisis but it is also an opportunity." Tai, who was appointed to his position at Sharp in August and also acts as an executive at its new parent company Foxconn, is in a position to know. Sharp has for years supplied LCD panels to Apple for use in a variety of products, while Foxconn handles a large bulk of the U.S. tech giant's manufacturing. The chief executive went on to say that Sharp is building out a new OLED facility in Japan, adding the company could potentially produce OLED panels in the U.S. if so required. "If our key customer demands us to manufacture in the U.S., is it possible for us not to do so?" Tai said. Beyond the brief mention, however, Tai failed to offer specifics on a potential OLED iPhone launch timeline. The context of Tai's comments are also unknown, and the missive might simply be commentary on rumors dating back to last year. 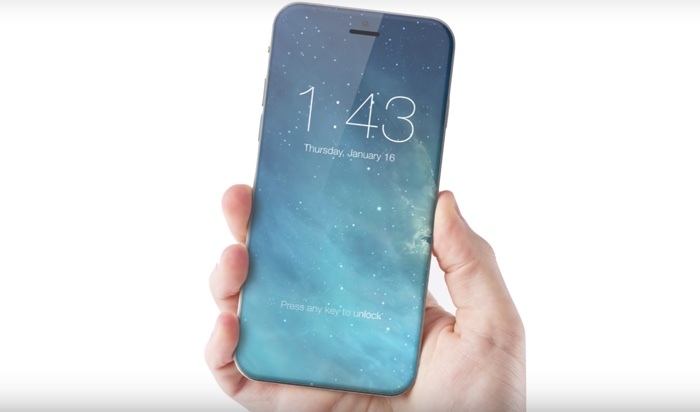 Industry insiders expect Apple to launch a next-generation iPhone with flexible OLED display and unique "glass sandwich" design in 2017. Reports in June indicated both Samsung and Sharp planned to OLED shipments by the end of 2017, likely in anticipation of massive orders from Apple. Whether Sharp has the capability to ramp up production assets in time is unclear. Last month, the display maker announced plans to infuse $568 million into its OLED business as soon as the second quarter of 2018. Apple’s next-gen iPhone is expected to feature a major redesign, with at least one of the three iPhones due next year tipped to sport an all-screen design featuring an OLED display. As strange as it may sound, that might not even be the most exciting feature of the iPhone 8. A new report from the most reliable Apple insider in the world says that what may turn out to be a game-changing Apple innovation is responsible for the major redesign of next year’s iPhone 8. The 2017 iPhone is expected to feature wireless charging, but possibly not the “boring” type of wireless charging that’s currently seen in various top Android devices. If reports are accurate about the company’s increased interest in Energous, Apple is looking to bring in a brand new type of wireless charging to the market. Current wireless chargers consist of a base that’s plugged into a power source. The phone needs to be touching that base in order to charge, which makes usage rather limited. The rumored technology Apple is working on would charge the iPhone from across the room. That means you’d be able to use the phone, or even keep it in your pocket, and the battery would still charge wirelessly. Respected Apple analyst Ming-Chi Kuo issued a new note to clients that says the iPhone 8 will come with a glass body in order to support wireless charging. Kuo doesn’t say anything about Energous, but regardless of what wireless charging tech Apple goes for, it’ll still need to dump metal in favor of glass for iPhone 8 cases. Kuo said in previous research notes that Apple would sell three distinct iPhone models this year, including a 5.8-inch iPhone 8 with an OLED display, and two “regular” versions with 4.7- and 5.5-inch LCD screens. Apple is said to be exploring more than 10 potential prototype models in anticipation of next year's 10th anniversary of the iPhone, with the company eyeing an OLED-display curved "iPhone 8" for launch in 2017. Citing people familiar with the company's plans, The Wall Street Journal reported on Monday that Apple has asked its suppliers to increase their output of organic light emitting displays, in anticipation of an OLED-equipped iPhone next year. In addition, Apple is also said to have asked suppliers to offer up screens with higher resolutions than Samsung handsets. In all more than 10 prototypes are being considered for next year's launch, the report said. Recent rumors have suggested Apple plans to release three new iPhone models in 2017, including a new high-end flagship OLED model with a screen sized between 5.1 and 5.2 inches. The remaining two models are believed to feature legacy LCD panels sized at 4.7 and 5.5 inches, the same as the current iPhone 7 and iPhone 7 Plus. All three models are said to feature wireless charging for the first time, along with glass-backed cases. As for who will supply OLED panels to Apple, Monday's report suggested it's likely that Samsung will be the chief partner, as other display makers simply cannot provide the amount of inventory needed for a new iPhone launch. Apple is said to be hoping that Sharp, LG Display and Japan Display will be able to ramp up production to take over some of Samsung's share by 2018. Apple already uses OLED technology in two key products: The Apple Watch, as well as the new MacBook Pro Touch Bar (though not its primary display). Global OLED availability is limited, which has led to rumors that Apple could struggle to meet demand for an all-new iPhone next year. It's believed that the switch to OLED will allow Apple to embed key components— including the Touch ID fingerprint sensor and FaceTime camera —beneath the screen, allowing a true edge-to-edge seamless front panel. Samsung's curved OLED capacity is estimated between 70 to 100 million units, less than half of Apple's annual iPhone sales —something that may support the idea OLED will be reserved for a "premium" model. Samsung will be the only supplier of OLED panels for the new iPhone 8 next year, a new report claims. That’s in line with what other reports have said over the course of the last few months. Samsung Display, to be more precise, is the only OLED screen maker that can meet Apple’s requirements for next year, while its competitors are currently scrambling to increase OLED panel production to levels that might come closer to filling Apple’s panel orders. According to unnamed sources quoted by Digitimes, Samsung will be the exclusive provider of OLED displays for a 5.8-inch iPhone next year. That’s likely the iPhone 8, and if the size sounds confusing given that some sources expect the phone to have a 5-inch screen, that’s because we may be looking at the total diagonal size of the display, including the curved edges. Even with a 5.8-inch screen, the iPhone 8 might be more compact than the current iPhone 7 Plus model, given that it’s supposed to have curved edges and a bezel-free, buttonless design. Digitimes notes that Apple will have three iPhones out in the second-half of 2017, including 4.7-inch, 5.5-inch, and 5.8-inch models. The first two will still employ LCD screens just like every other iPhone before them. Global shipments of OLED iPhones are estimated at 60-70 million units for next year, with Samsung Display ready to supply some 20 million units in maximum a month. Nissha Printing will apparently provide touch sensors for the OLED panels, and the bonding of touch sensors and OLED display panels will be done by Samsung or TPK Holding, as well as General Interface Solutions. The report also says that supply chain companies will begin production for the new iPhone in small volumes in March, and increase output in May and June. The new iPhones are expected to launch next September. Apple may introduce a new 5-inch iPhone model that sports a unique vertical dual-camera system that sits alongside the existing 4.7- and 5.5-inch models, according to Japanese blog Mac Okatara. The 5-inch model would act as the medium size in the 2017 lineup. The report, which comes from a Taiwanese supplier, says that the new models, dubbed the iPhone 7s, would be an updated version of the iPhone 7. 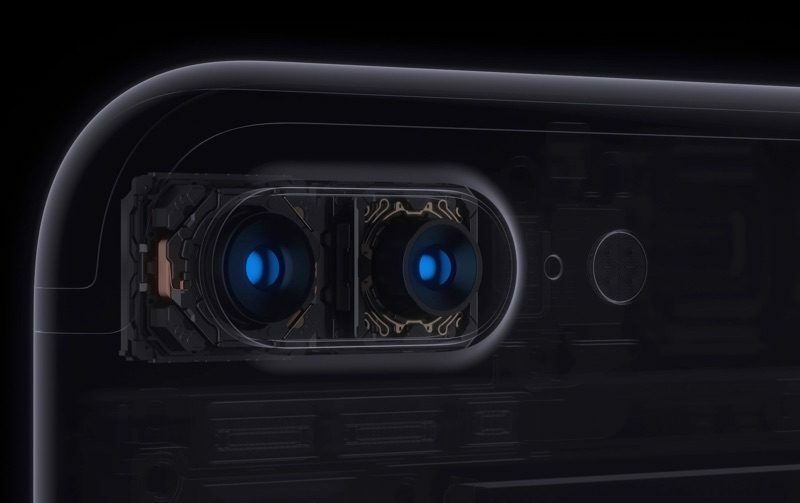 The new 5-inch model, however, would rearrange the iPhone 7 Plus' dual camera into a vertical alignment rather than a horizontal one. Earlier this month, Mac Okatara reported that the iPhone 7s and 7s Plus would retain the aluminum design of the iPhone 7. However, the report said the new phones would come in an all-new red color. Multiple reports have stated that there will be three new iPhone models in 2017, including updated 4.7- and 5.5-inch models with LCD screens and a premium model with an OLED display and glass casing. The new report corroborates an earlier Nikkei report that said a new 5-inch iPhone would arrive in 2017. However, Nikkei reports that the three iPhone models in 2017 will have new glass-backed designs. In November, KGI Securities analyst Ming-Chi Kuo said it's likely the 2017 iPhones will switch to new glass casings to support wireless charging. While Mac Okatara was the first to report that Apple would replace the headphone jack in the iPhone 7 and debut a new gloss black color, its track record is not perfect. In November, it reported the iPhone 7 and 7 Plus would get a new "Jet White" color that has not yet materialized. Apple is expected to adopt a forged stainless steel crafting process for its glass-encased "iPhone 8", rather than use traditional aluminum CNC machining. Taiwanese sources from the upstream supply chain apparently confirmed the transition on Tuesday, according to DigiTimes, with component orders expected to be shared between Foxconn and U.S.-based Jabil. "The next-generation iPhone is expected to abandon its conventional aluminum back cover design and will adopt a new design using two reinforced glass panes and a metal frame in the middle. The metal bezel will be made of stainless steel using a forging process to enhance its sturdiness and reduce costs and manufacturing time." The stainless steel process was last used by Apple in the iPhone 4s handset, which encased a "glass sandwich" chassis in two CNC-machined steel bands. However, every succeeding iPhone iteration has used aluminum because the alloy offers heightened structural rigidity while remaining relatively lightweight. Supply chain sources said the cost of the forging process is between 30 percent and 50 percent cheaper than the current unibody CNC machine process, while quality control is also more stable. Despite the switch, Apple is expected to continue outsourcing orders for internal structural parts to Catcher Technology and Casetek, because the stainless steel bezel will require further refinement using traditional CNC machining. 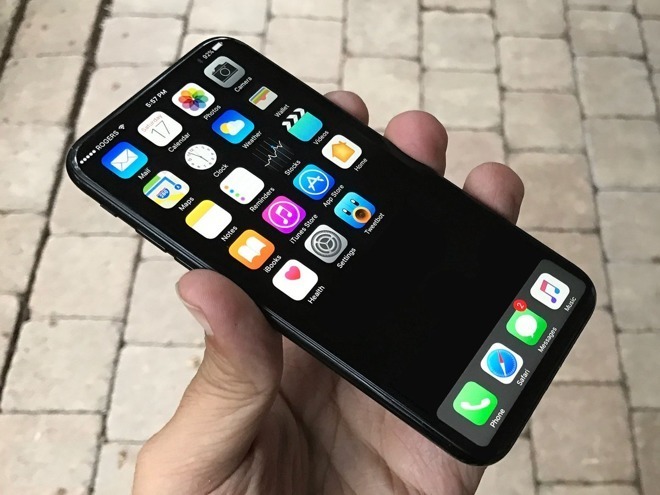 Today's report supports recent rumors indicating at least one model of iPhone this year will have a redesigned all-glass body with a steel frame housing an edge-to-edge, curved OLED display. Jony Ive has wanted to introduce an iPhone that looks like a single sheet of glass for several years, and glass is also necessary if Apple wants to introduce wireless charging. If an edge-to-edge display does feature, the home button and Touch ID fingerprint sensor would be embedded in the display. Apple is said to be planning to position the OLED iPhone 8 as a "Premium" model that will perhaps be sold alongside standard flat display 4.7, 5, and 5.5-inch iPhone models, but details relating to size, configurations, and materials used remain sketchy. Apple's next-generation iPhone will feature IP68-rated water resistance, which would be an improvement over the IP67-certified iPhone 7 and iPhone 7 Plus, according to The Korea Herald. Samsung's Galaxy S7 is IP68 certified, and the Galaxy S8 is naturally rumored to be as well. In the IP68 rating, the "6" means the next iPhone would remain effectively dustproof, with "no ingress of dust" and "complete protection against contact," while the "8" means the device will be even more water resistant. The Galaxy S7 is able to withstand 1.5 meters of water for up to 30 minutes. For comparison, IP67-rated devices like the iPhone 7 offer the same protection against dust but only have water damage protection against immersion between 15 centimeters and 1 meter by definition. However, while keeping your device dry is best, tests have shown the iPhone 7 is typically more water resistant than advertised. 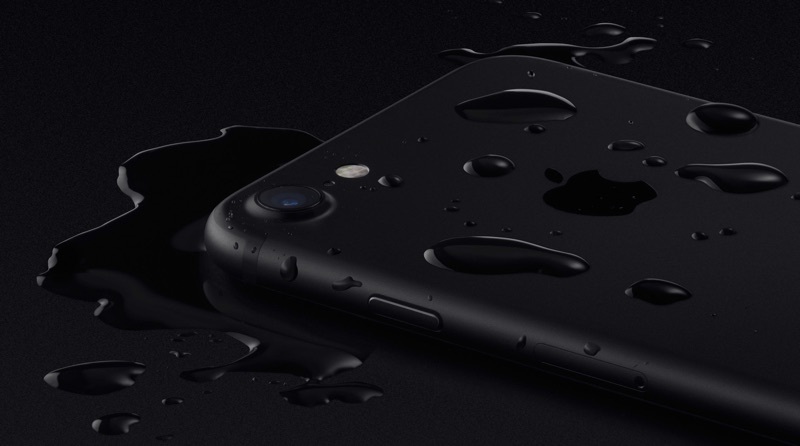 Apple describes the iPhone 7 as "splash and water resistant," but its fine print warns that "splash, water, and dust resistance are not permanent conditions and resistance might decrease as a result of normal wear." Despite having an IP67 rating, liquid damage is still not covered under Apple's warranty.